Purchase Your Copy of Mission Critical Today! 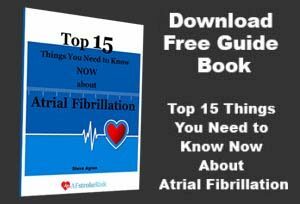 Manage Your Atrial Fibrillation and Reduce Your Risk of Stroke! Our website is dedicated to helping people understand Atrial Fibrillation, make informed decisions about medical care, and learn about natural methods for managing AF through a healthy lifestyle. We aim to educate, inspire and motivate the 33.5 million sufferers worldwide with a whole body approach, offering practical steps that can be taken right away.